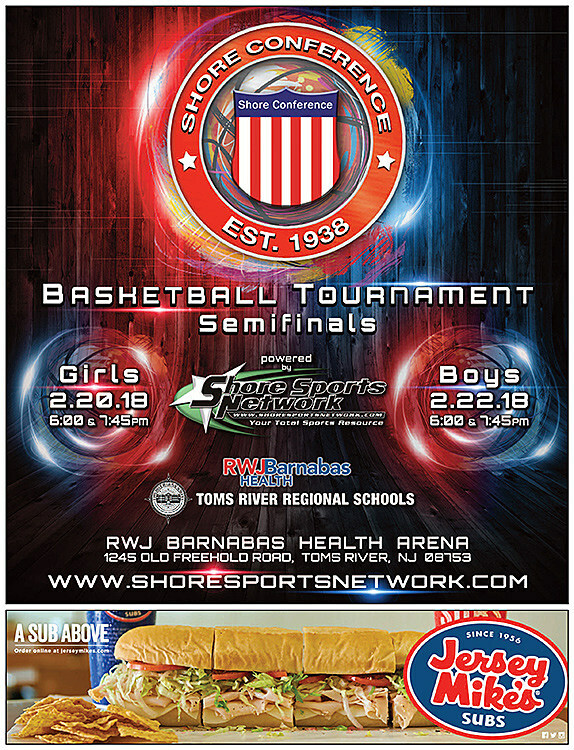 The Shore Sports Network is the official media partner for the event in conjunction with the Shore Conference of High Schools and we will keep you updated on seeds, schedules and more. Jared Bellissimo pitched a four-hit shutout and doubled home two runs to lead Toms River North to its second straight Shore Conference title. No. 8 Toms River North and No. 11 Central meet Monday in a rubber match to decide the 2018 Shore Conference Tournament champion. A.J. Smith pitched a nine-inning four-hitter and Tyler Aires hit a go-ahead solo home run in the ninth to lift Central over Wall, 1-0, and into its first SCT final since 1980. Jared Bellissimo and Brendan Mullins combined on a four-hitter and Mullins supplied a chunk of the offense as well in defending champion Toms River North's 6-0 SCT semifinal win over Monmouth. Dante Ciaramella spun a four-hitter and Monmouth Regional cut down No. 5 Jackson Memorial Monday to reach the SCT semifinals for the first time in six years. Shore Conference Tournament results from Saturday, May 26. After four days of rain-outs, Point Beach finally made its trip to Raritan and knocked off the No. 9 Rockets in the SCT opening round. CBA drew the No. 1 seed in the 28-team Shore Conference Tournament field. Find out where the other 27 teams were seeded and all the match-ups for Wednesday's opening round. Dara Mabrey would not be denied this year as the senior scored 33 points on 11-for-16 shooting to lead Manasquan past SJV for its fourth SCT crown since 2012. Ranney turned in a dominant performance on defense and showed off its offensive balance in beating Mater Dei, 52-28, for its first ever Shore Conference title. Sarnor's 15 points, 9 rebounds, and solid defense helped lead Ranney to a one-sided 52-28 victory over Mater Dei Prep in the Shore Conference Tournament finals. Manasquan's Dara Mabrey led her team with 33 points on the way to their championship victory over St. John Vianney.